Thank you all for your generosity. This year we raised: $4602.50 from the congregation and the Mission Team. 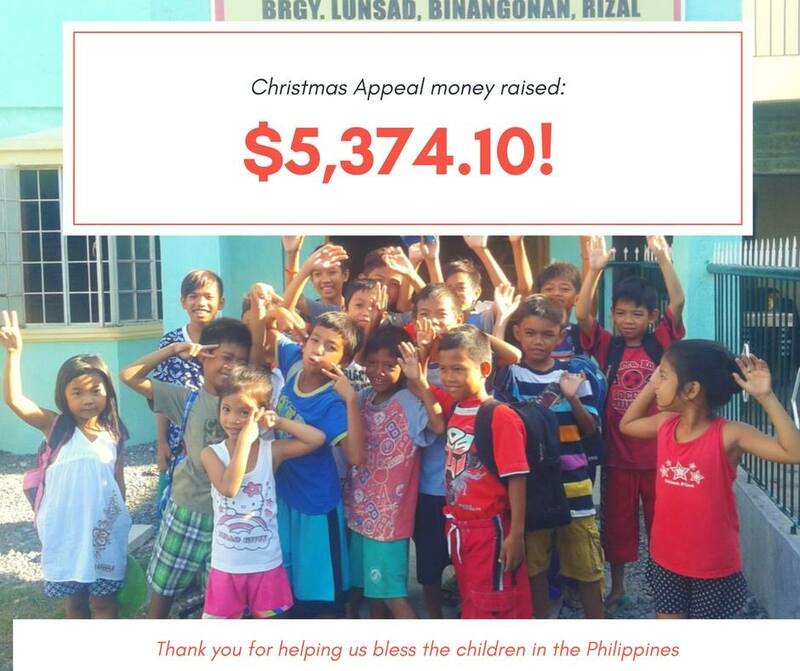 Last Christmas we raised money to bless the children in the Philippines. These children go to a community church which cares for children in the neighbourhood, teaching them about God and providing them with the opportunity to learn. It has been funded by a couple in our church Sally and John Jenkins. We are happy to partner with them to ensure the children and their families hear the gospel of Jesus Christ as well as having food to eat, and toys at Christmas.